This project was completed for a commercial photography class. The photograph is nearly unaltered from its raw form; the lighting is as taken. The Photograph was taken using black plexiglas, two spot lights, and a blue backdrop. The blue flame glow was done using a stencil placed under the plexiglas, and illuminated from behind onto a blue backdrop. 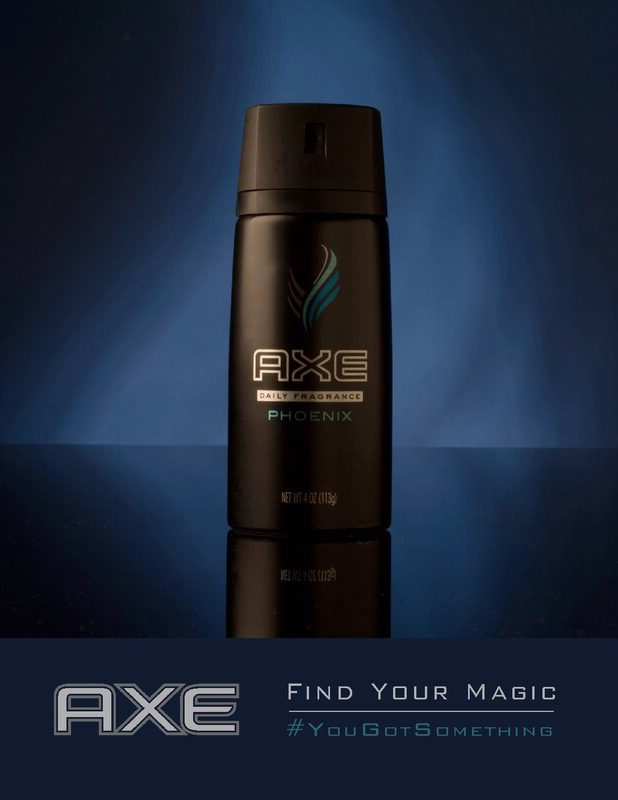 The Axe tag line was a pre-existing ad campaign.